32 p., Holiday House, 2008. Even kids who are excited about being grown-up enough to do homework, and who plan exactly how they'll do it, might have difficulty at first in staying organized enough to complete it successfully. Violet knows that she'll have homework this year, and asks her mother for the backpack that's perfect for bringing homework home and back to school. It has lots of pockets, zippers, and snaps, and Violet is confident that it's her key to homework success. When her teacher, Ms. Patience, gives the class their first homework, Violet is thrilled. She feels very important to be doing homework - except that at home, she can't find it. She lies to her parents and friends about having done it. But Ms. Patience realizes that she hasn't done it, and gives her a special homework assignment that helps her learn to tell the truth - which (unlike her homework) Violet had never lost, and to her surprise, turns out to be more important than homework. Violet also comes up with a perfect solution to the problem of which backpack pocket to use. The brightly colored pencil and gouache illustrations are immediately engaging. Empathic and supportive, this story teaches children important lessons about both honesty and organization. Illustrated by Colin Bootman. 32 p., Little, Brown, 1996. Each child in Louise's family receives a symbolic gift from Nana. For example, one child receives a penny, and Nana tells her she will be rich, both in the sense of having a lot of money and in a spiritual sense. Louise is disappointed in her gift, a blank piece of paper. Nana tells Louise that she can put whatever she wants to on the paper. But Louise feels that the gift means that she isn't special. After solving several problems creatively, she learns that her gift is creativity, and values this in herself. This story shows children that their strengths may not be obvious, but they are still valuable. 32 p., Houghton Mifflin, 2001. Simon and Molly are best friends, and have special ways of doing things. When Hester begins to play with them, Simon feels left out, and worries that Molly likes Hester better than him. He's relieved when he overhears Molly tell Hester that he is her best friend. The three children find that there's a lot they can appreciate about and learn from one another, and are happy to be friends. This playfully-illustrated story offers children reassurance that they're still special to their friends even when new friends are involved. For another story about adding a third friend, see Chester's Way). Illustrated by April Hartmann. 32 p., Health Press, 2001. Jennifer discovers that she has juvenile rheumatoid arthritis after severe knee pain interferes with her soccer game. She is sad to have to give up soccer and jumping rope. Her rheumatologist encourages her to focus on what she can still do (bicycling, swimming, walking), and she's eventually able to do this, and even decides to join a swim team. Jennifer feels ashamed of her arthritis, and decides not to tell her friends at first because she's afraid they'll think she's strange. Her parents and teacher respect this decision, but after a while, it becomes too hard to keep up the pretense of a sprained knee. When she invites four friends to a sleepover and tells them, everyone is relieved, and no one rejects her. 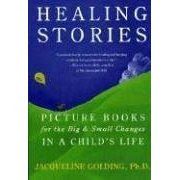 In spite of its limitations (for example, Jennifer's rheumatologist, although trying to be kind, seems to push away her sadness; and Jennifer worries about being thought to be "like an old lady," as if that were something bad to be), this book offers empathy to children who have rheumatoid arthritis, and Jennifer is a good role model for moving from sadness, frustration, and shame to positive activity and openness.